Oman is designated by the U.S State Department as having the same safety level as the U.S, Canada, and Australia, for example. In fact, since there has never been any terrorist activity in Oman and there has never been any threat of it, Oman is presently safer than almost any country. You can check the current situation online at www.travel.state.gov. This site considers all aspects of safety in each country. The Sultanate of Oman is a highly developed, sophisticated country that retains pride in its traditional culture and values. Crime rates are much lower than in most western cities. What are the dress standards? Modest dress is all that is required of both men and women; bathing suits and shorts should only be worn at hotel pools. Women should also bring a scarf with them for when we visit the Dome of the Rock and the Grand Mosque in Muscat. Will I have language difficulties? With the exception of some of the local people you may meet in remote areas, everyone that we deal with during the tour speaks English. We will provide you with some basic Arabic phrases and of course your guides will always be there to assist you at any time. What type of food will I encounter? Most meals will be eaten at our hotels, which offer all the cuisines you will be familiar with. We recommend drinking only bottled water and avoiding unpeeled fruit and uncooked vegetables. We carry extra water and soft drinks at all times when traveling. How physically challenging is the tour? Anyone of at least moderate health will have no difficulties. People in their late-80′s and people with visual and walking impediments have experienced no difficulties on previous tours. Coach and 4WD transportation takes us to all the sites and there are no long walks required. We travel by fishing boat to Khor Kharfot, and this will require you to have the mobility to get in and out of the boat. In October the weather is generally temperate, sunny, and dry. We travel in October to avoid the summer heat. Hats, sunglasses, and sunscreen are highly recommended. Visas for Israel, Jordan, and Oman can all be obtained upon arrival. It is not necessary to prearrange visas for this tour. You must have at least three free pages in your passport, and your passport must be valid for at least 6 months beyond the date of the tour. Does every person on the tour get their own headset? No. In our experience the hassle of carrying around a headset outweighs the benefits. It also hinders you from soaking up the unique sounds and atmosphere at each location. Instead, whenever possible, we deliver explanations in the comfort of our airconditioned coach before venturing out to see each sight. Will we follow Lehi’s exact route? The exact route of Nephi's journey through the wilderness is not known; however, Nephi gives us very specific directions in the Book of Mormon that enable us to roughly trace the path he and his family must have taken. For more on this, please consult the research links on this website. 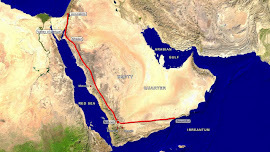 It is likely that Nephi's original journey would have passed through parts of modern-day Saudi Arabia and Yemen, and it is not currently possible to tour these countries due to political and safety restrictions. Thus, we follow Nephi's route south from Jerusalem to the Red Sea and across into Jordan. After flying to Oman we pick up their journey in the Dofar region. When an Oman-only tour is offered, this will focus on the end of their journey, coming out of the desert to the land which Nephi called Bountiful. Why do we think Nephi's Bountiful is located in Oman? The southern province of Dhofar in Oman has the only locations that can possibly be considered as the place that Lehi’s group named Bountiful. To understand why view our blog post here. Since exploration of the entire Arabian coastline was completed in 1992, Latter-day Saints can be assured that the location of this unique place must lie in Dhofar. However, Discover Nephi's Bountiful has never claimed that any particular location in Oman is the place. Instead, we will visit the only locales that have been proposed by scholars as candidates and allow you to evaluate them according to Nephi’s very detailed and specific description of the place. This will allow you to make up your own mind. To ensure the comfort of our passengers, we require that all children be aged 12 and over. Can I arrive early or stay on after the tour finishes? Yes. If you want to arrive early or stay late to spend some extra time in Oman when the tour concludes, we can assist you in making arrangements. What is the tour size? To ensure that everyone has the same experience and that you get to know one another we travel with a maximum of 50 people on one deluxe, air-conditioned coach. A minimum of 20 people are required for every tour. Do I need to get any immunizations? No immunizations are required to enter Israel, Jordan, or Oman. However, we advise you to consult with your doctor if you have any concerns.